Situated in northern Maryland on the Patapsco River estuary above Chesapeake Bay is the largest city in the state. Today, Baltimore has around 620,000 residents and has a metro area around 2.7 million people and is a commercial and industrial hub. Its leading exports include coal, grain, iron, steel, an d copper. Shipbuilding remains a top industry, as are sugar and food processing, oil refining, biotechnology and chemicals. 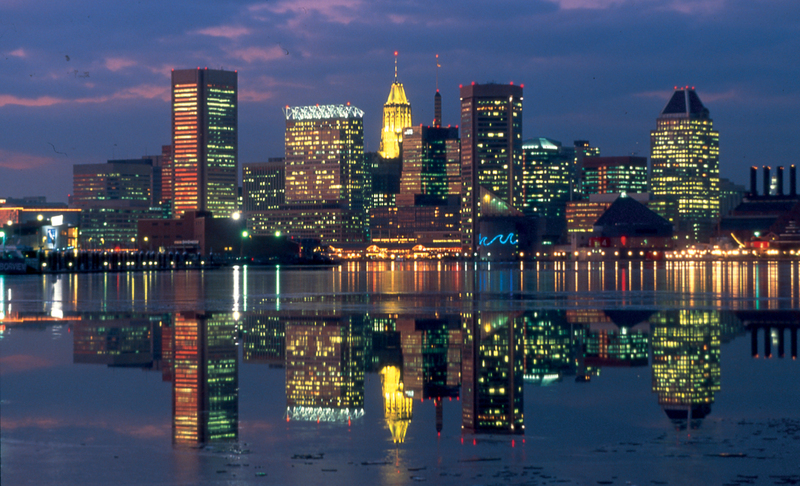 Baltimore is a center for scientific research, with facilities at Johns Hopkins Hospital and University of Maryland Hospital. Tourism is a rising industry. Baltimore has an energetic nightlife, ranking #2 (with Washington) among Forbes Magazine's list of the Top Cities for Singles. The "SoWeBo" area, much like New York City's SoHo, is a funky, bohemian district popular with artists and free thinkers. Fells Point, one of the city's oldest and ethnically-varied neighborhoods, is now a revitalized hotspot loaded with shops, restaurants, bars and clubs. And, of course, Baltimore has some of the best seafood (especially crabs and crab cakes) in the country. If you're interested in Baltimore, please email your resum� with an introductory letter to to Dayna Lynn at dlynn@fsgltd.com or fill out the form below.